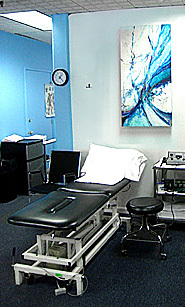 The Physical Therapist is the only person treating our patients. We do not use aides or assistants in our clinic. This means that you will be treated by a therapist with 28 years of experience and advanced training working with you at all times, leading you to a successful rehab outcome. Our Patient Education provides you with the knowledge to continue to maintain the gains achieved through your physical therapy program. You will understand how to help yourself – what to do and why. You are an active participant in your healing. Our Physical Therapist owned and operated practice provides an environment conducive to efficient, effective and caring treatment of our patients. 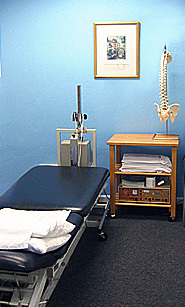 We maintain a comfortable, friendly atmosphere providing Physical Therapy to adults of all ages. Colleen Huff, PT has 28 years of experience and advanced physical therapy training. She has specialized in the treatment of Orthopedics and Spinal diagnoses. Her successful treatment of patients is due to her intense desire to relieve pain and restore normal mobility, strength and levels of function; returning patients to a full lifestyle. Her advanced training provides her with the tools necessary to accomplish these goals with the exceptional results for which she is known. FOTO (Focus On Therapeutic Outcomes Inc.) selected as one of the Bay Areas highest rated Physical Therapist for Patient Satisfaction. successful treatments and caring attitude toward our patients. A Multi-Specialty Physical Therapy Center with innovative treatment programs for our clients.